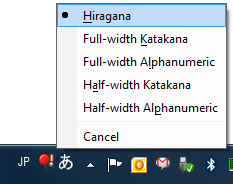 One of the first things I configure after a fresh Windows installation are the keyboard languages. As a programmer I loathe the international version of the US layout (I want my quotes immediately, not after pressing space), so I always make sure the correct layout is selected. I also like to type a bit of Japanese in Google every now and then, so I add the Japanese IME as an additional language. But did you know you can also use the IME to type Greek symbols? It is actually quite simple when you're used to IMEs. 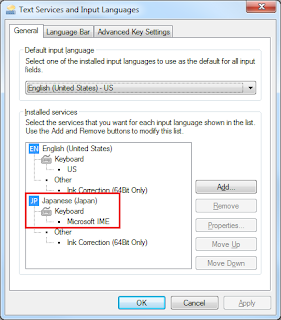 Now when you start typing, the IME will replace the Latin unigraphs, bigraphs and trigraphs with Japanese hiragana characters. After completing a word by pressing space, the IME will replace the string of hiragana characters with a word or symbol. If it chooses the correct word or symbol, you can continue on typing the next word. If it does not, you can press space again and a menu apears with other suggestions. You can select the suggestion with the space bar or arrow keys and confirm using enter. 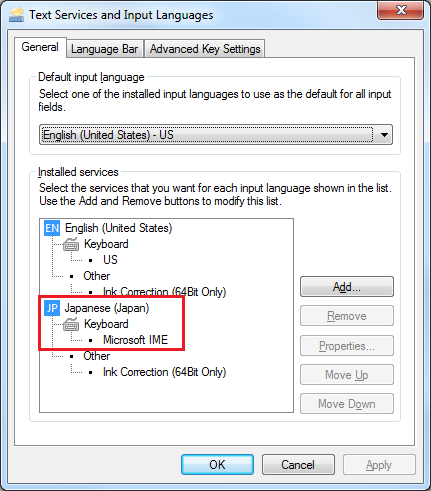 To type Greek letters using the Japanese IME, you would have to input the Japanese pronunciation of those letters. The table below shows which Greek letters can be typed using the IME.